A Practical Guide to What Au Pair Program is All About! An au pair provides live in childcare and the program is about mutually beneficial cultural experience. It is important to welcome the au pair as a member of the family, to provide guidance and to include them in the typical family activities (meal times, sports day or simply watching the tv with the family in the evening!). By taking part in the cultural exchange program, the au pair gets the opportunity to improve her/his language skills and to experience the British lifestyle while helping with childcare and light household duties in return.Generally, au pair applicants are 18-19 years of age when they apply for the programme. The majority of our au pairs come from Germany/Austria however we do also have au pair applicants from Holland, Spain, France, Italy and Scandinavian countries, such as Sweden and Denmark. Most of our au pairs have good to excellent English skills so it is often more about perfecting their already high standard of English rather than starting from the basics. Some au pairs can also drive, which is helpful if you need assistance with school runs.In addition, au pairs provide support with homework, after school activities, meal times and light household duties. 2 evenings of babysitting per week included Monday to Friday. Free time Saturday and Sunday (minimum 2 full days). Up to 1h of light household duties per day (no more than 5h/week). No sole care for children under 2, sole care for pre-school aged children limited to 4h/day (2-3). Placement completion BONUS of one week’s pocket money to be paid to all au pairs who have completed their full agreed placement duration (applicable for placements which are 6 months or longer in length). As au pairs are generally not qualified in childcare they would not be the right form of childcare for roles which require full/continuous care for pre-school aged children. 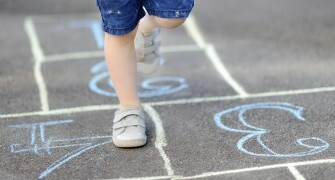 There should be no sole care for children under the age of two. If you need further guidance on this, please give our office a call and we are happy to help assess whether an au pair would be a good option for you. European nationality, basic to good childcare experience and fair to good level of English. Roles with more than 30h are no longer recognised as part of the traditional au pair programme by BAPAA. European nationality, extensive prior childcare experience (combining both practical and babysitting experience, for example. nursery or school work background, formal childcare training). Pocket money from £100 for 25h, £115 for 30h, (£130+ for 35h only available for mini-mother's help calibre). Australian, New Zealand or Canadian nationality, basic to extensive childcare experience. The exact duties will vary by family, but most families expect some of the following to be part of the au pair’s duties. The balance of the au pair position should always be on childcare, rather than household duties. We ask the host family to outline their expected duties in the profile. Prior to the arrival of the au pair, we also recommend preparing a detailed handbook, for which we provide a template. It outlines tasks and basic house rules so that expectations are clear and the au pair has a fair chance of not only meeting but exceeding your expectations. Cooking the family meal, unless the au pair enjoys cooking and has chosen to do this for the family. How Many Hours of Household Duties is Acceptable? The au pair does not replace a cleaner or a domestic help/take sole responsibility for household duties. Therefore, the usual time au pairs may spend on household duties is up to 1h/day. Many families combine au pair help with a regular weekly cleaner who does the heavy cleaning of toilets, general living areas and parents bedrooms for example. 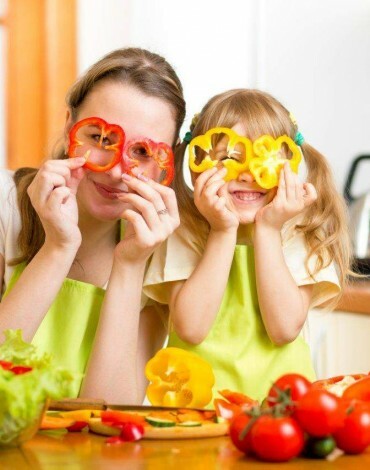 Joining in the normal family activities such as taking part in dinner time preparation and tidy up (provided that all family help) are not accounted towards household duties, but are generally considered tasks which the au pair would do as a member of the family. Similarly time spent on one’s own laundry/ironing and room tidy/cleaning does not constitute towards the 1 hour guideline. It is important to recognise that the size of the family and the family home can have a substantial impact on the level of household tasks which may be required (a family with three children, for example, would have three times the laundry than a family with one child – we, therefore, ask to account for this when allocating time for household duties. Similarly a family with a large home – even a simple, general tidy up can take more time). Many of our au pair applicants have a drivers license and are also happy to drive as part of their au pair role in the UK. When a driving au pair is requested – our agency specifically selects applicants who have confirmed to be confident/safe drivers in their home countries during their interviews. We are however unable to assess the au pair’s driving ability in practise. With this in mind, and considering that most au pairs have never driven on the left hand side of the road, initial practise is always needed to allow the au pair to adjust driving in in the UK. We ask host families to provide a couple of driving lessons/supervise au pair driving before allowing them to drive independently and especially before driving the children. It may take from as little as a couple of days to 2-3 weeks for an au pair to fully adjust to driving in the UK. We supply all our au pairs with a comprehensive au pair guide which also includes a section about driving, links to all relevant Highway code sections, and information about general safety as a driver/pedestrian. Au pairs can therefore start familiarising themselves with UK driving laws and practises even before they arrive and we recommend our host families to encourage this. As a host family you are responsible for all costs associated with the au pair driving your car. You should provide a safe & suitable vehicle for the au pair’s use. Many families offer their au pair a smaller “run-around” car to manage the insurance cost. We strongly advise to check the cost of insurance prior to offering the role to an applicant. Considering the young age of au pairs – the insurance cost is also often relatively high. Calling up a couple of alternative companies can be helpful in getting a comparative quote. Most au pairs are aged 18-19 years. Should you require an au pair who is 21+ and drives, we advise to allow as long as possible lead time for your au pair search, to ensure availability. Older driving applicants are rare, yet very popular and are often placed months before their actual intended start date. By prior arrangement, you may agree for your au pair to use the car for personal journeys. We advise to agree on the limits for personal usage in advance – including agreeing upon who covers the fuel costs. In the event of damage being caused to the car whilst the au pair is driving, all repair costs/insurance excess costs should be covered by the host family. The au pair should not be asked to contribute. The great thing about our Aussie au pairs is the fact that they drive on the same side of the road – so there is less to get used to in the beginning of their stay. There are however a few extra points to keep in mind when considering an Aussie driver. – Australian au pairs need to apply for an international drivers license. You can find more information here. – Australian au pairs may have a P1 (provisional 1), P2 (provisional 2) or a full license. Read more here about the classifications. All of the 3 types of licenses allow the au pair to drive independently. However it can sometimes be confusing for the insurance companies to be faced by the term “provisional license”. It is therefore important to recognise that UK provisional and Australian provisional are not the same. An au pair should have 2 full and consecutive days off per each week (typically Saturday & Sunday). The weekend time is the main time for the au pair to socialise and meet friends. Happy and rested au pair = happy kids = happy you! It is important to avoid allocating work (including babysitting) for the two free days the au pair is entitled to – if help during weekend is needed, we ask to pay extra for this (and of course to do so only with prior agreement of the au pair). UK National Holidays: BAPAA recommends that au pairs are to be given UK national holidays as free time. Many host families only require a genuine affection for children from their au pair. Practical experience is an advantage, even if it is only babysitting, as is an outgoing nature for coping and living with new people in a foreign country. We expect an au pair to be honest, mature and responsible. Au pairs with good English and additional childcare experience are very popular. Expect to pay more pocket money for experienced candidates. We have candidates in this category marked as ‘gold’ au pairs and our placement fee reflects their additional skills and/or experience. Consider if your family has specific needs. A family where sole care is required, especially with more than 2 children, very young children or a child with special needs will benefit from a person with some experience. A family with teenage boys may consider a male au pair to connect with the boys through sports and hobbies! Ensure your profile reflects your requirements. An au pair is not a domestic help, nor a nanny. Help and enthusiasm is expected, experience is a bonus. Au pairs take part in a cultural exchange, and an important condition of this program is that the au pair is treated as a member of the family. "I have been in London for almost a month now, and it has been so amazing! my host family showed me Brixton and took me out for dinner in the Brixton village the day after I came. I have also met My host-mum's parents, and we went out for dinner too. On my first day alone with my child, we went to the cinema to see planes, it was super fun and i loved it. On my first weekend my host-mum threw me a welcome party where se invited all her neighbours and some of her friends it was really nice, and I got to meet an au pair too. She is living with one of my host-mum's friends. the day after the party i went to play rounders with a lot of my host-mum's friends, it was really fun, and it was nice to get out and see the Brockwell park, where I run alot. I have also been to the theatre to see Siro-A, which was really cool. I also went clubing with one of my host-mum's friends' daughter, she is a year older than me. it was reallt fun to get out, and see how they do it in England :)"
"Being an Aupair - what is it like? Hard to say, as every day is different. But each day is interesting aswell, and so far I had a lot of fun here! The family is great, the children as well as the parents, and I also love Brighton with it's Lanes, Cafes and of course the seafront. Also, you have lots of opportunities to make friends and spend some time out. And if you go to the language school, you can improve your English and make friends at the same time. Despite you become really grown up, independent and learn lots of things about yourself if it is your first longer period of time abroad without your family. Of course it is not always easy, some days can also be a struggle, but for me it is a great experience so far that I wouldn't wanna miss! "